Bowling, billiards, shuffleboard, ping-pong and amusements. Score 300 on the lanes and then shoot the 8 ball in a game of pool. Play classics like skee-ball and Pac Man or try something new. It is all here for your enjoyment. 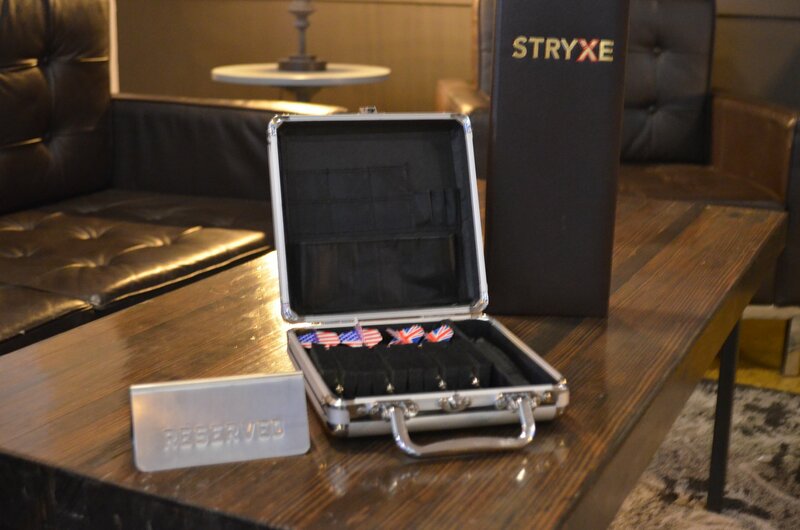 Experience the STRYXE culinary vision. 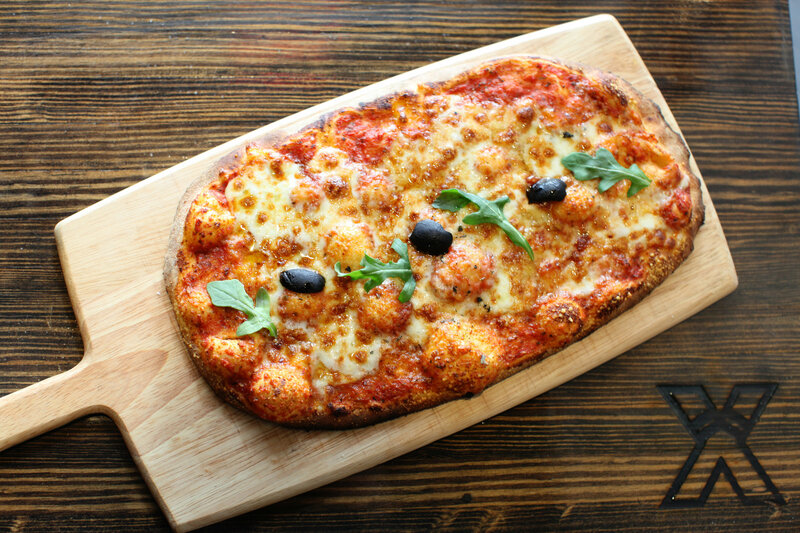 Enjoy a variety of featured menu items like house made Oaxaca Nachos, Jumpin’ Gulf Shrimp and gourmet style Tabisca brick oven pizza creations. Our craft cocktails are as devourable as they are exhilarating to watch. Or, try one of more than thirty hops & harvests with wine pairings, and craft beers bottled and on tap. 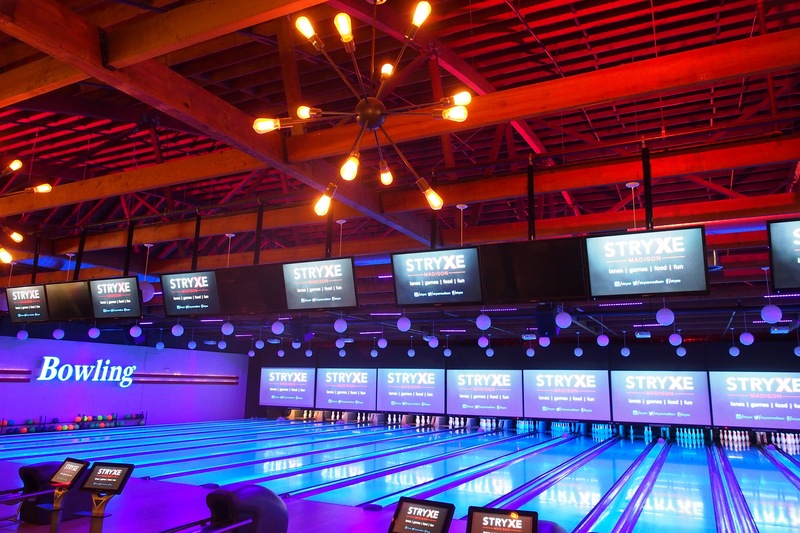 You are invited to experience all that STRYXE has to offer. All while in the comfort of our lanes, The Lounge, The Parlour or The Den. Highlights of our adult offerings are listed below. Please note, we do not reserve lanes without the purchase of a package. Packages may not be altered or substituted. Custom packages may be crafted for groups larger than 100 guests. Reserved lanes and shoe rental with three hours of unlimited bowling. Three course meal enjoyed lane side while you play. Full service staffing, plus beer, wine and craft cocktails available for purchase while you play. Reserved lanes and shoe rental with two hours of unlimited bowling. Snack and beverage to enjoy lane side while you play. Full service staffing while you play. 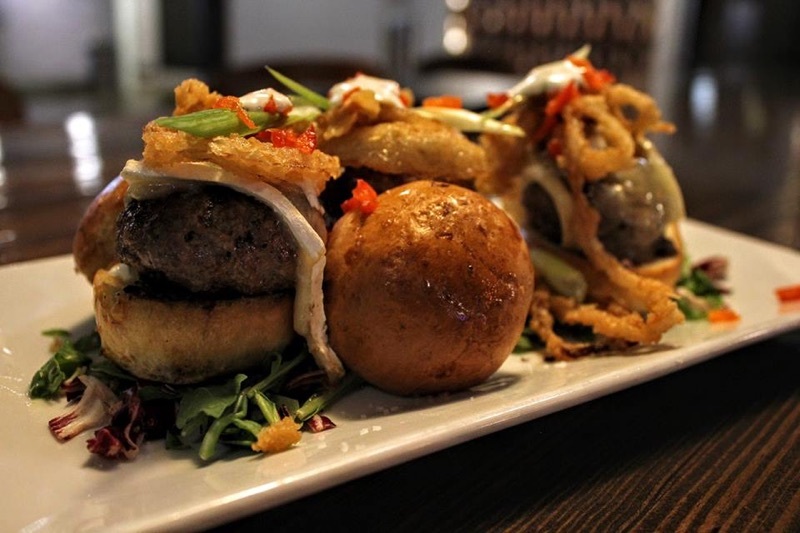 Gastro pub cuisine and beverage to enjoy lane side while you play. 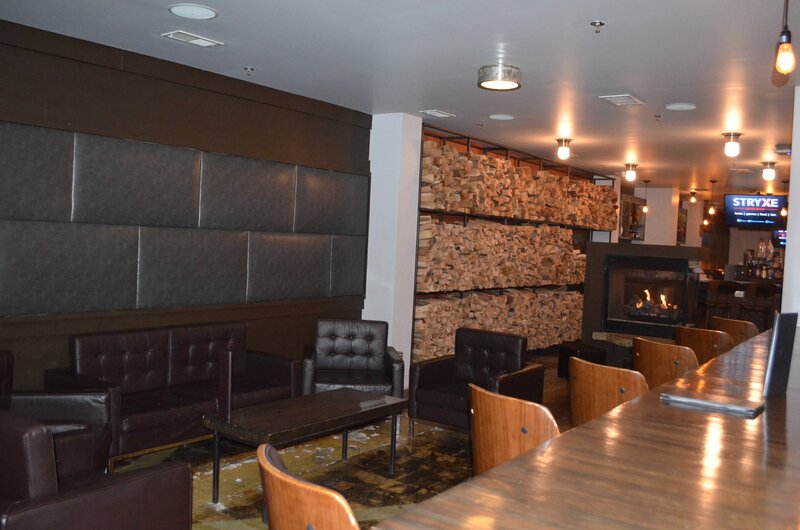 Private lounge space and fireplace with plush leather seating. Dedicated service with beer, wine, craft cocktails and bites available for purchase for the duration of your experience. Two hour minimum rental. Perfect for groups of up to 30 guests (seats 15). Private space with plush leather seating and Eatery Bar access. Dedicated service with wine, beer, craft cocktails and bites available for purchase while you play. 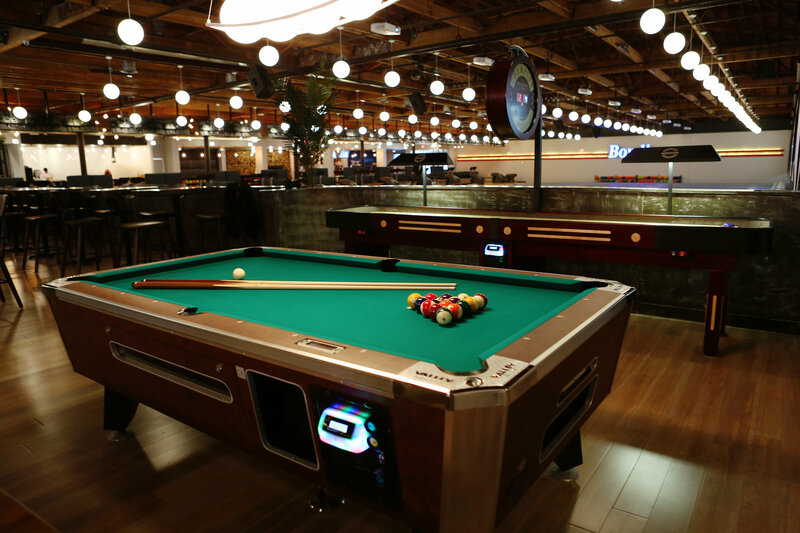 Unlimited Billiards, Shuffleboard, Ping-Pong, STRYXE The MARK and Pac-Man Arcade Party play for duration of your experience. Perfect for groups of up to 50 guests (seats 20). 21+ years of age required. Private space with plush leather seating and Lounge Bar access. Dedicated service with wine, beer, craft cocktails and bites available for purchase. 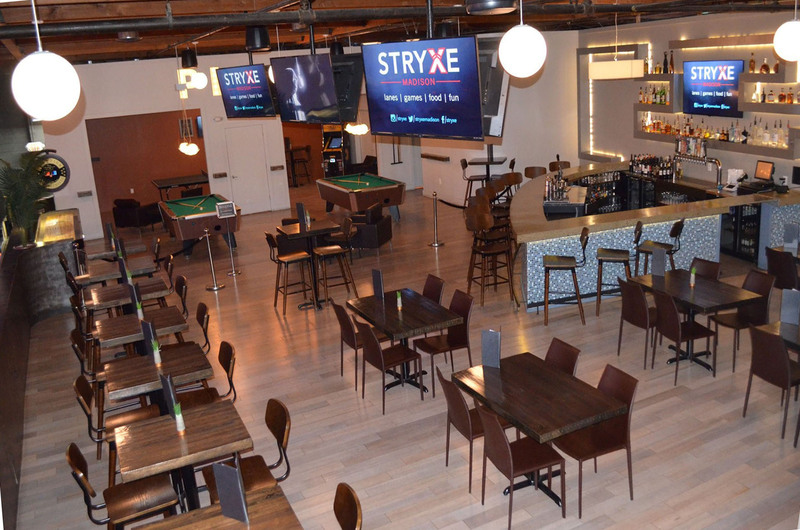 Unlimited Dart play and STRYXE The MARK for the duration of your experience. Perfect for groups of up to 20 guests (seats 9). Two hour minimum rental. 21+ years of age required. To make a reservation, please fill out an Event Request and our Events Department will respond within three business days. Please note that your reservation is not confirmed until a contract is signed and initial payment secured.